Picking which demand generation tools to include in a marketing stack gets expensive fast. Tracking, measuring, and optimizing the entire marketing process isn’t cheap—and there are very few tools that can do all things well. Scrappy marketers on a budget are in the right place. We’ve rounded up 31 free tools to fuel your demand generation strategy as users move from unknown to lead to customer. Demand generation begins with brand and product awareness, and ranking high for keywords is one way to achieve both. These free tools help demand gen marketers spot new opportunities, compare against competitors, and optimize performance over time. Why we love it: Moz has several free tools that help marketers research keywords and understand link building opportunities. Install the MozBar as a Chrome extension to see backlink and domain authority metrics on sites you visit, use the Keyword Explorer to prioritize keywords for content and landing pages, and uncover competitor performance with the Open Site Explorer. Why it works for demand generation: Moz’s tools shine at the awareness stages. Keyword planning shows where to spend search budgets and what SEO-optimized content should be about. Plus, marketers can spy on competitors’ SEO performance to see how their traffic stacks up. Why we love it: WooRank helps marketers optimize websites for search engines. The free version gives you a pretty thorough breakdown of factors that influence site rank including meta descriptions, keyword consistency, mobile friendliness, usability, and server technology. Why it works for demand generation: The keyword analysis section should be of special interest to demand marketers. Optimizing your site for particular keywords is the first step to outranking competitors. 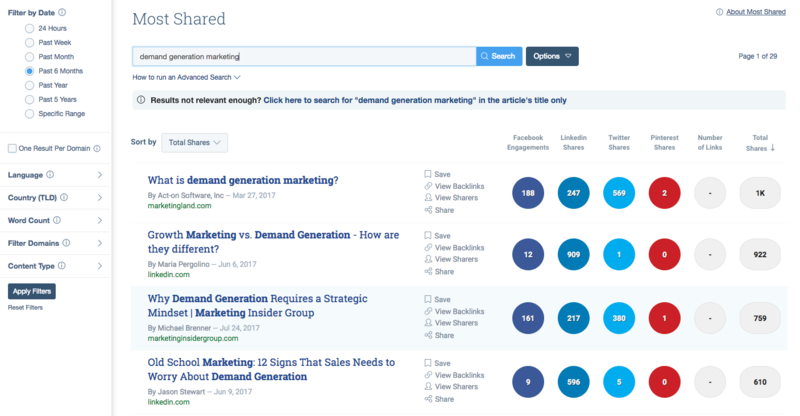 Why we love it: BuzzSumo helps marketers discover what content is performing best for specific topics and keywords. Some results and features are hidden with the free plan, but it’s still enough to get new ideas for content. Why it works for demand generation: Knowing what’s getting the most social shares gives you insight into how to format your content, which keywords to include in headlines and body copy, what ideas perform best with your target audience, and what topics have already been covered. Bonus points if you set a goal to be on the “most shared” list for a targeted keyword! Content is used throughout demand generation strategies to nurture leads from strangers to customers. At the very top of the funnel, content is instrumental to introducing people to your product, explaining the problem that your product solves, and kicking off a relationship that eventually leads to a sale. Use these content services as demand generation tools to get ahead. Why we love it: Answer the Public is straightforward: put in any keyword and it will spit it back questions about it. It’s not the most high-tech thing ever, but it can give you some easy long tail keywords for content ideas. Why it works for demand generation: If people are looking for solutions to problems that your product solves, they should be coming to your website and entering your funnel. Using Answer the Public will help you nab these qualified leads with relevant, useful content. 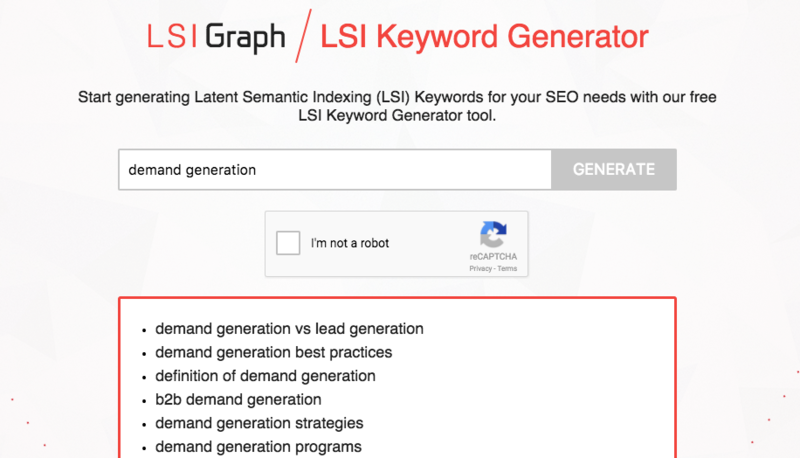 Why we love it: Type in a keyword or phrase and the LSI Keyword Generator will give you long-tail keywords semantically linked to the search. Why it works for demand generation: This keyword generator is helpful for building out supplementary content around your product’s key themes, leading to more inbound visits and time spent on your website. Why we love it: Feedly is a simple tool that lets you aggregate RSS feeds into one platform. Add your competitors’ blogs, industry publications, and more for instant content ideas. Why it works for demand generation: Knowing what’s going on in the news and with competing products is half of the content battle. Feedly can help you come up with ideas for every stage of demand generation by centralizing the noise in one place. Why we love it: Google Trends forecasts keyword potential based on queries from around the world. You can compare two keywords to see which is the better fit, and it provides related queries to further optimize content pieces. 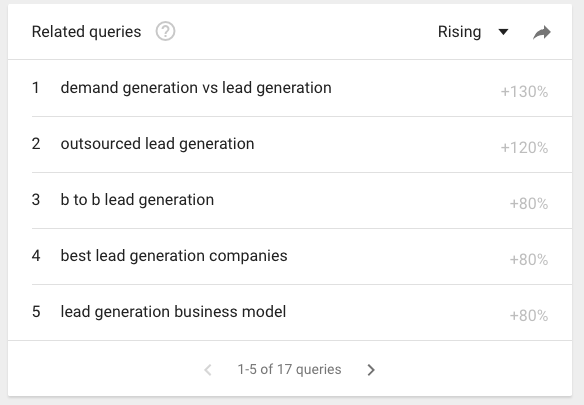 Why it works for demand generation: Knowing related searches for a keyword is a great resource for future content pieces. For example, searching “lead generation” and sorting related queries by those rising in popularity gives ideas around outsourcing lead generation, B2B lead generation, and demand generation vs lead generation. Why we love it: CoSchedule’s Headline Analyzer makes it easy to create an awesome headline that begs to be clicked. Type in a draft headline for information on word balance, length, sentiment, and keywords. Why it works for demand generation: The best content is easily discoverable and invites people to learn more. The Headline Analyzer helps marketers achieve both, picking up more traffic at the top of the funnel and making links in drip emails irresistible. 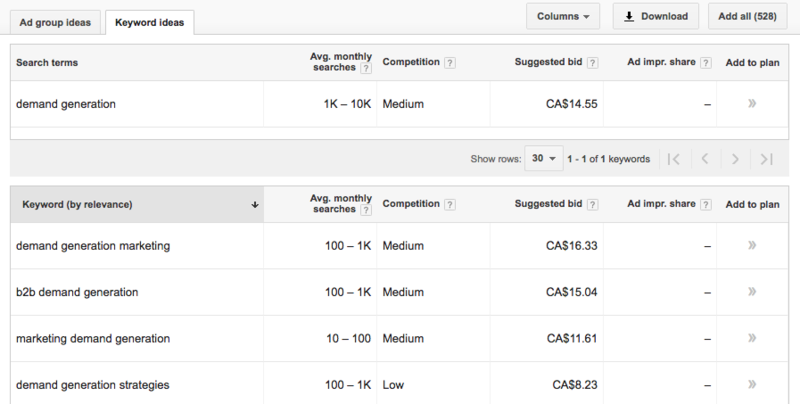 Why we love it: The Google Keyword Planner is hidden in AdWords under Tools. Use it to search for new keywords by entering a phase related to your product. It provides data on average monthly searches, search engine marketing competition, and related keywords. 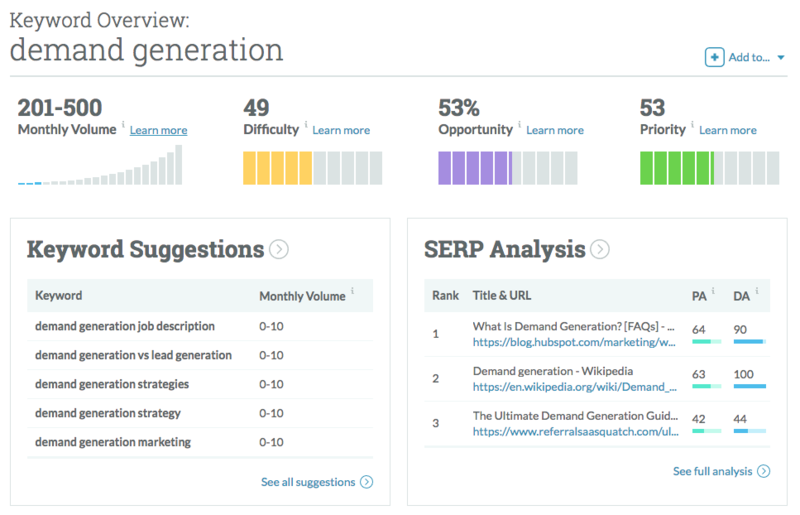 Why it works for demand generation: This is great for both organic and paid search terms. On the content side, look for keywords with a reasonable number of monthly searches and low to medium competition. Why we love it: Internet Marketing Ninjas has a free keyword analysis tool to show how well content has been optimized for certain keywords. Enter any URL and it shows you meta descriptions and keyword density (including long tail). Why it works for demand generation: Sometimes it seems like you’ve optimized a content piece to be found and then realize you only used a keyword once… and never in a strategic place. Keyword density and SEO tags are needed for content that attracts attention at the beginning of the demand generation strategy. Done right, social media can be a major channel for relationship building and brand awareness. 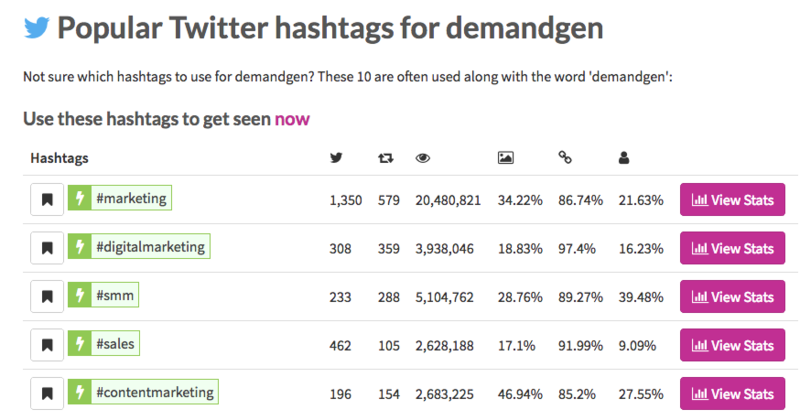 These tools will help demand gen marketers transform strategies by using strategic hashtags, speaking to the right people, and monitoring the competition. Why we love it: Hootsuite is an understood leader in the world of social media management. You can create customized feeds based on profiles, search results, hashtags, and more. Why it works for demand generation: Get instant feedback into competitors’ customers by adding brand profiles and search results from people tagging their handle. Reach out to unhappy users and use common gripes about competing products in your ad copy, content, and landing pages. For a Twitter-specific dashboard, check out Tweetdeck. 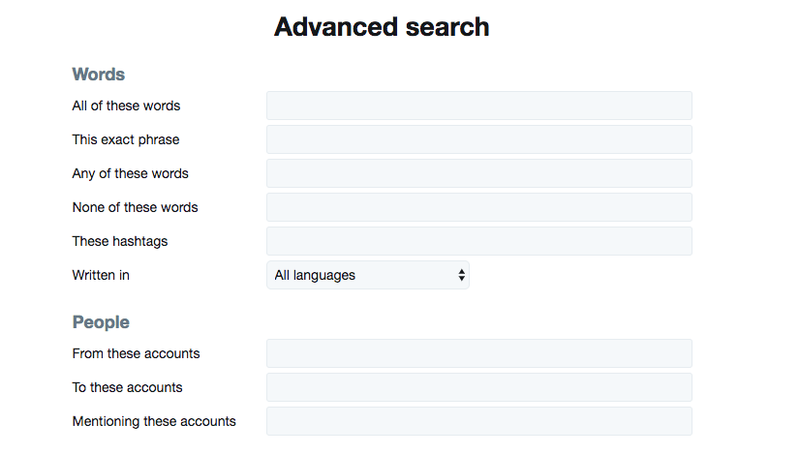 Why we love it: Twitter advanced search can fill the social media monitoring itch without the up-to-the-minute, constant feedback of Hootsuite. Why it works for demand generation: Use it for the same reasons as Hootsuite, and go a step further by searching for your targeted keywords and relevant hashtags. Why we love it: Using the right hashtags is key to getting in front of target audiences. RiteTag is a Chrome extension and web app that tells you which hashtags to use to be seen now, which will help you be seen over time, and which ones to avoid. Why it works for demand generation: The right hashtags can fill the top of the funnel, leading people to specialized content or landing pages that would have otherwise never known about your product. Why we love it: Use Instagram for brand awareness? Focalmark gives you a list of relevant hashtags by topic with formatting to elegantly hide them in the first comment of the post. Why it works for demand generation: Once ignored, Instagram is now becoming a major platform for brand awareness and loyalty—both key parts of a demand generation strategy. Improving the conversion rate of a landing page can result in thousands of leads without a ton of additional effort from your team. These tools help you squeeze more information out of visitors, leading to more sales over the long run. You may notice that there aren’t any landing page builders. That’s because there aren’t any amazing free ones out there. Try out Unbounce or Instapage if you have budget to spare. 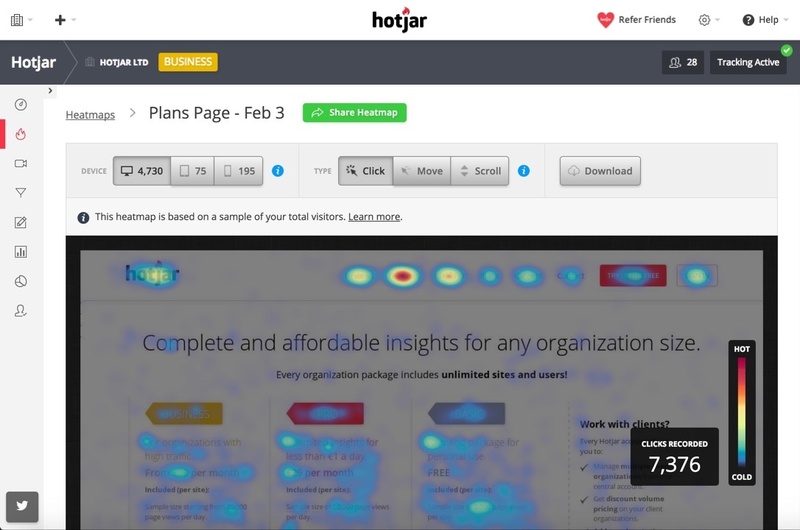 Why we love it: Hotjar shows what visitors do once they land on a page by tracking mouse movement. It can give insight into whether people are confused by design, what parts of a page might be turning away users, and how marketers can optimize sites for more conversions. Why it works for demand generation: A qualified visitor that bounces without sharing contact information is a lost sale. Hotjar shows the parts of a landing page that might be leading to bounces. For example, if there’s a lot of attention on a headline but no scrolls past it, maybe that copy needs to be more engaging. Why we love it: Hello Bar captures contact information on pages that aren’t optimized as landing pages. 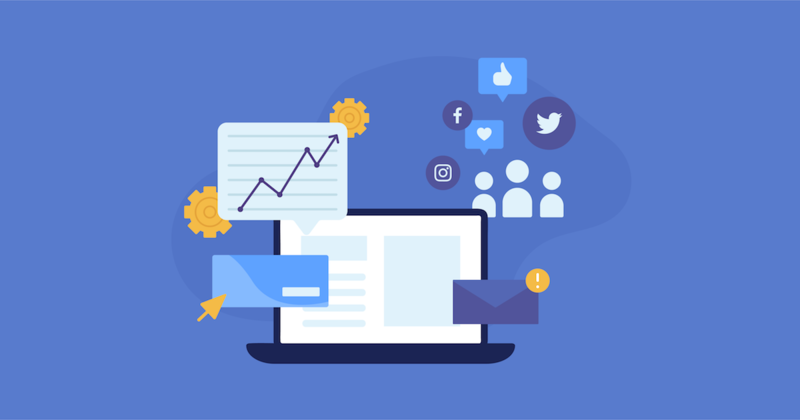 Essentially, it creates interstitials that pop up at a customized point of the user process (such as when they’ve been on a page for 45 seconds or scrolled to 75% page depth) to collect information, promote a sale, or grow social followings. Why it works for demand generation: Again, if you’re not getting the lead you’re not making the sale. Hello Bar is a great tool if you get a lot of traffic from search or social and need a way to nudge people into your funnel. 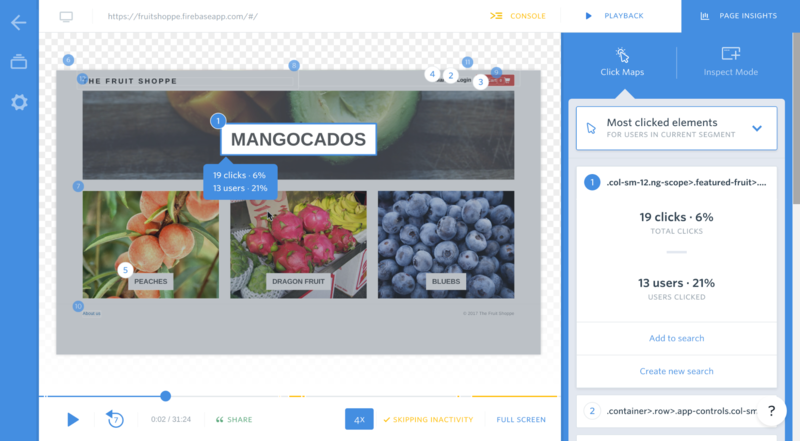 Why we love it: FullStory lets you play back user sessions and see every click, keypress, page transition, and more. Its frustration detection lets you isolate rage, error, and dead clicks to bring design issues to light. Why it works for demand generation: You can optimize your website and landing pages for conversions with FullStory’s deep look into frustrating parts of your design. Get a 2-week trial of the professional plan, or subscribe to the free plan forever. Tracking how people navigate your website and their page flow is essential to verifying someone’s lead status. These tools help you understand this complicated picture and visualize how people go from being unknown to making a sale. Why we love it: Everyone already has Google Analytics, making this a super accessible way to track website movement without any additional elbow grease. The Funnel Visualization can be set up and tracked under Conversions > Goals > Funnel Visualization. 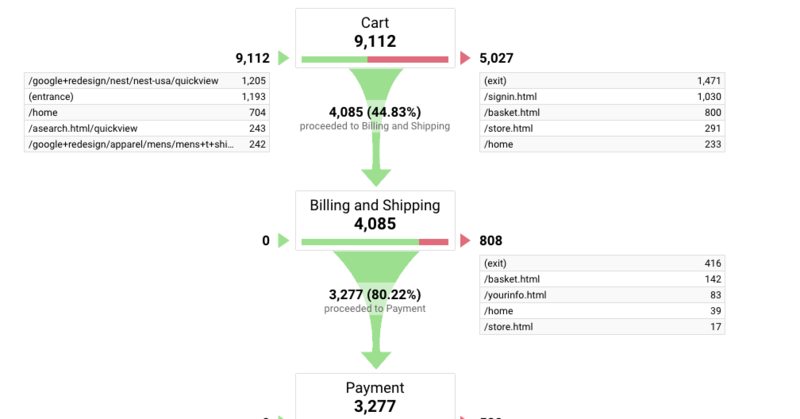 Why it works for demand generation: The Funnel Visualization lets you track how people complete a conversion without relying entirely on goals. Once you have an ideal process mapped out, you can see where people drop off. This is super handy for seeing how people move through drip campaigns in particular. 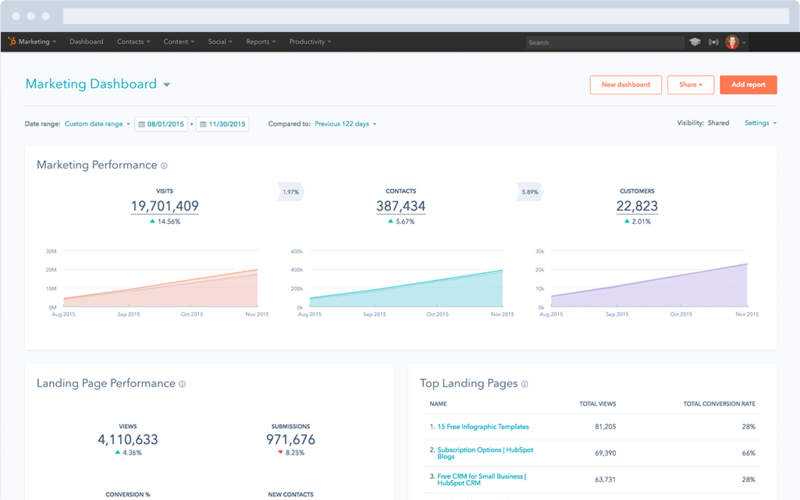 Why we love it: HubSpot offers a comprehensive paid plan that tracks everything a demand generation marketer needs—from attribution to lead status to sales. If you aren’t sure if you need something so in-depth, the free marketing plan gives the beginner blocks of understanding how people move through your demand generation process. Why it works for demand generation: The free plan includes a lead gen dashboard and lets you map out lead flows. Unfortunately, this only covers the first part of demand generation and makes it difficult to track someone's entire path to purchase. Why we love it: Jumplead brings live chat, email marketing, and automated campaigns under one roof to help marketers better understand relationships between touch points and drop offs between them. 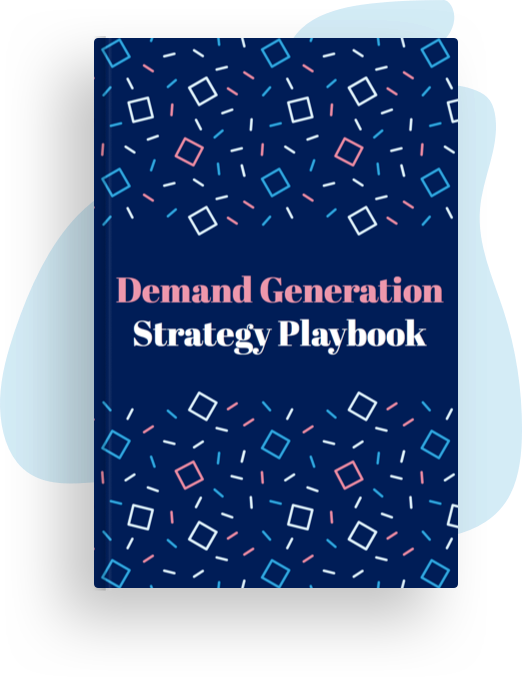 Why it works for demand generation: Their free plan allows 200 contacts and visitors, which is good for a first taste of the platform or for very small companies and agencies. Once you’ve collected contact information, drip emails are essential to making leads into customers. Done properly and minimally, drip campaigns push people through the funnel by defining what problems products solve, fostering thought leadership and trust, and generating sales. Why we love it: As its name suggests, Drip helps marketers plan and execute drip campaigns. Set up the customer journey, write emails triggered by behaviors, and use predictive lead scoring to know when someone is ready to be passed to sales. Why it works for demand generation: Effective demand generation strategies use automated marketing like drip campaigns to nudge people through the funnel. Drip’s free plan allows unlimited email sends and users but caps at 100 subscribers—meaning it’s only really useful over the long term for very small campaigns. Why we love it: Chances are you’re already familiar with MailChimp, so onboarding isn’t a problem. Even free plans come with drip email capability for demand generation campaigns. Why it works for demand generation: MailChimp’s Custom Event Workflows are a simple way to create recipes for automated campaigns. Why we love it: ConvertKit is a favorite platform for professional bloggers, meaning it might be a bit stripped down for enterprise-level demand generation. If you're not looking for all the bells and whistles, it's still worth checking out. Why it works for demand generation: Easily set up automated email workflows and segment subscribers for more personal marketing. Billing is priced by subscriber number, but there is also a 2-week free trial. Attribution is one of the main struggles for demand generation marketers. Frankly, no tool is great at clearly communicating which channels lead to sales and how different touch points interact with each other. There are a ton of paid tools out there that claim to solve the problem (including Google Attribution), but remember to measure results with a grain of salt. Why we love it: Attribution modelling in Google Analytics helps break down where traffic comes from and which channels work together to create conversions. To access these reports, go to Conversions > Multi-Channel Funnels. Why it works for demand generation: Use the Model Comparison Tool to see how different attribution models affect goal completions. Unless you’re an online store, this tool is probably most useful in determining initial sign ups, remarketing, and top-funnel conversions. The Assisted Conversions and Multi-Channel Funnels reports will also help you understand how different channels assist goal completions. Obviously, advertising isn’t free. But many popular platforms come with amazing tools that can take your demand generation efforts to the next level. Why we love it: Remarketing pixels from Facebook and Google help when advertising to people who visit a website but don’t instantly become leads. Why it works for demand generation: Demand generation depends on qualified leads entering the top of the funnel. However, it’s key not to annoy people with remarketing campaigns. Set a daily frequency and churn people out of remarketing lists to make this tactic feel more like a nudge and less like a shove. 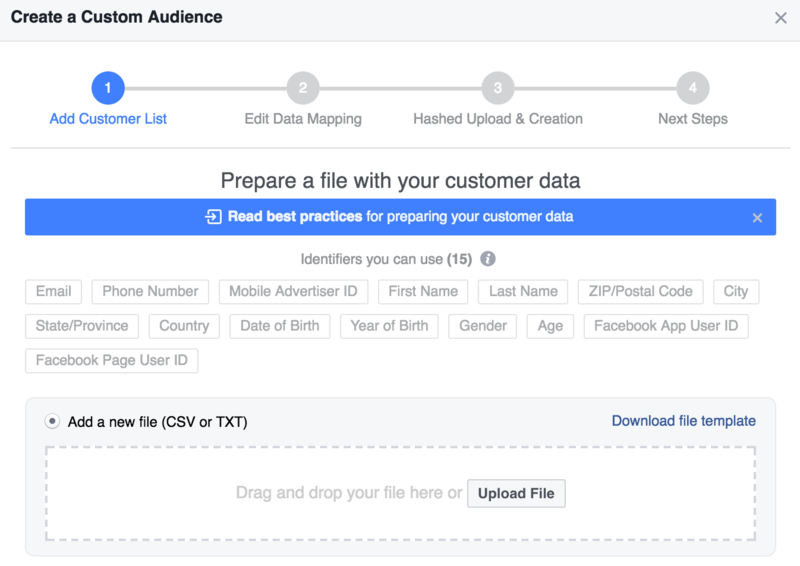 Why we love it: Facebook Lookalike Audiences let marketers use information from high-value customers to create similar audiences for advertising campaigns. Why it works for demand generation: Advertising to customer lookalikes mean more qualified leads and shortened sales times. When creating these lookalike audiences, build lists based on customers with high lifetime values. The higher the CLV, the less you’ll spend per lead. Why we love it: Like lookalike campaigns, Twitter Tailored Audiences let marketers upload existing customer information to target similar users. Why it works for demand generation: Better targeting means more qualified leads. When creating campaigns, be sure to check “expand reach by targeting similar users” and exclude the seed audience so current customers don’t receive ads. Why we love it: LinkedIn is a powerful platform for B2B marketers, proven by its Matched Audiences feature designed for account-based marketing campaigns. Why it works for demand generation: B2B is a challenged world for demand generation—there are fewer possible leads and outcomes depend on hyper-targeted efforts. Matched Audiences let you advertise to users based on employer information and job capabilities to reach the right accounts and departments.